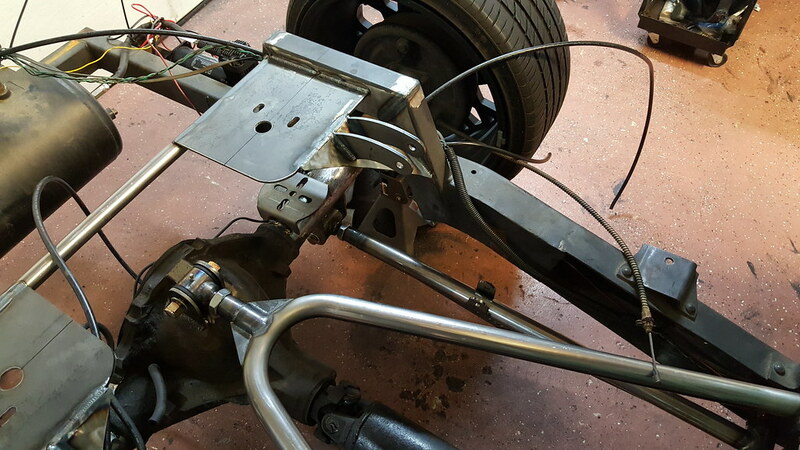 A guy through instagram contacted me about redoing his rear suspension. 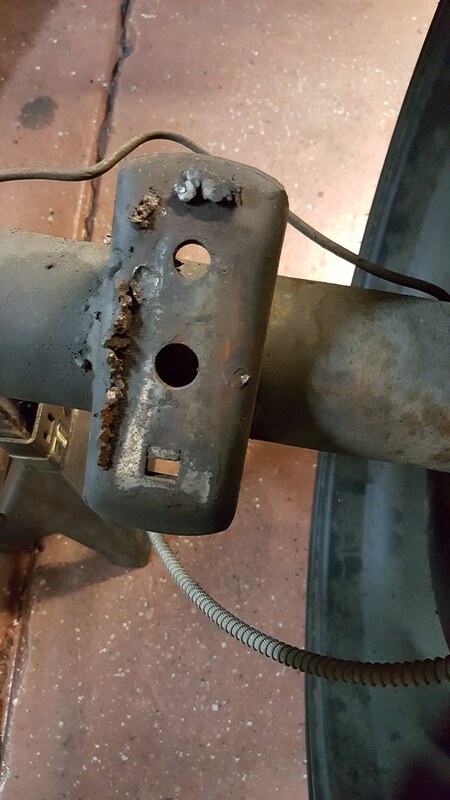 It was a local shop truck he picked up and didn't realize how bad the suspension was. I don't think I am going to do much more than the rear on the truck so I'm not going to start a project thread on it but the pictures are pretty cool so I figured I'd share. I tried to bang it out in a weekend with his help but it is taking a bit longer than originally planned. Hopefully should be done by this weekend. 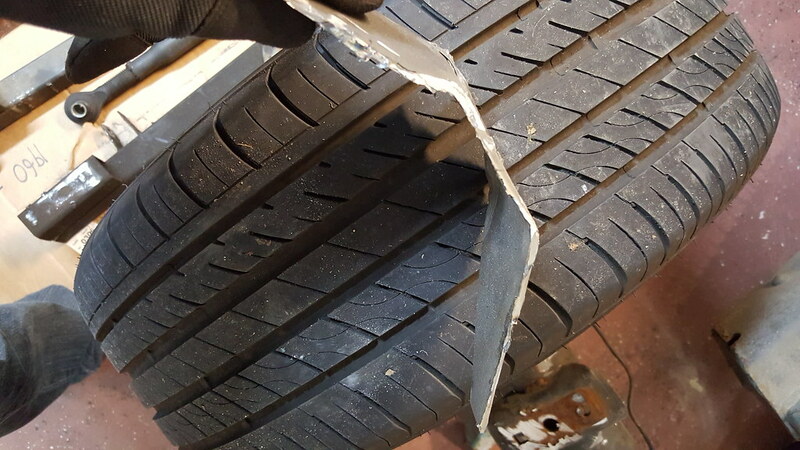 All the suspension tabs were 1/8'' thick, bent, and cracked. 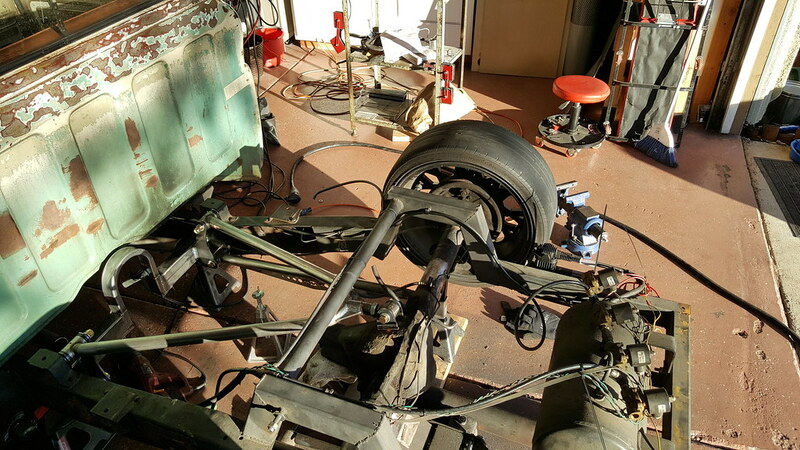 Piles of parts...Check out that panhard bar, 2 link, and offset bag mounts. 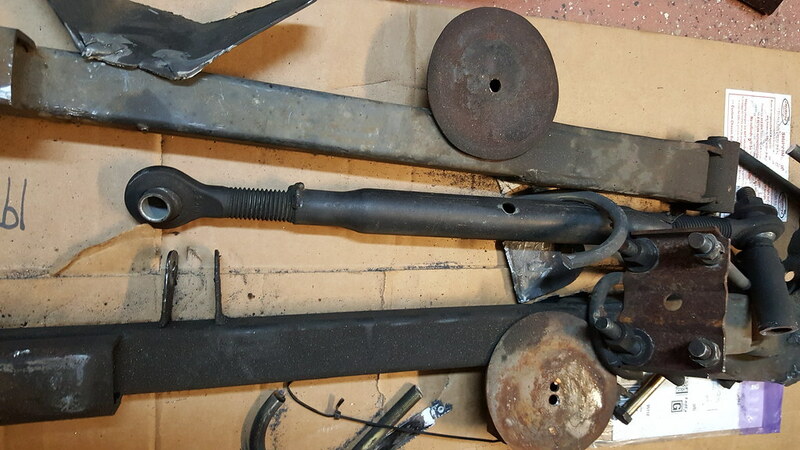 And they welded the two link to the axle perches, which were welded on one inch off to the side. 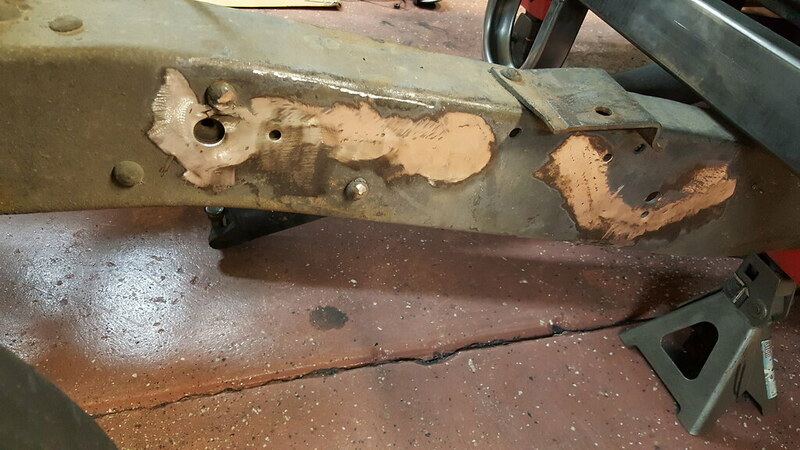 Then I noticed they didn't weld up one side of the notch. 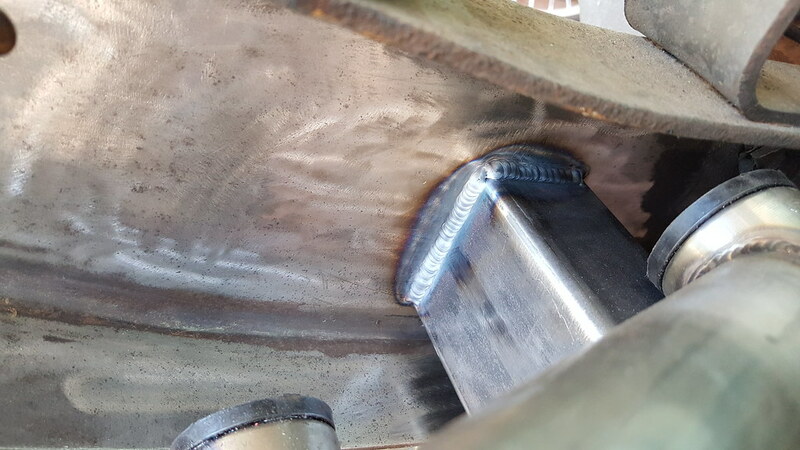 It clearly wasn't prepped to be welded so we ground off one of the welds. I'll be grinding out a grove to weld it properly. Removed all the offending areas. Bought a universal 3 link from AVS. Nice product! 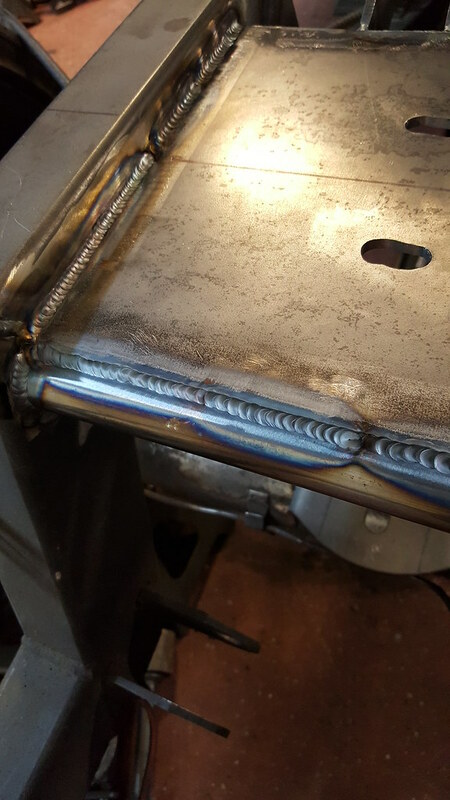 Decided to run a bag on bar set up so I welded on the trusses. 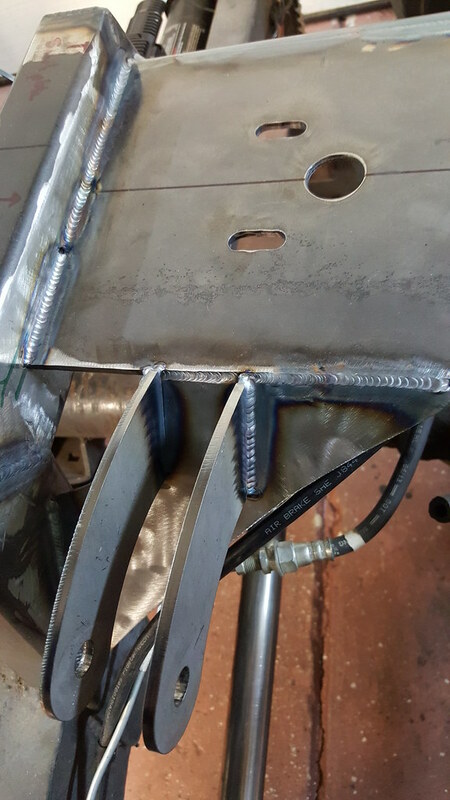 Welded the tabs to the differential. 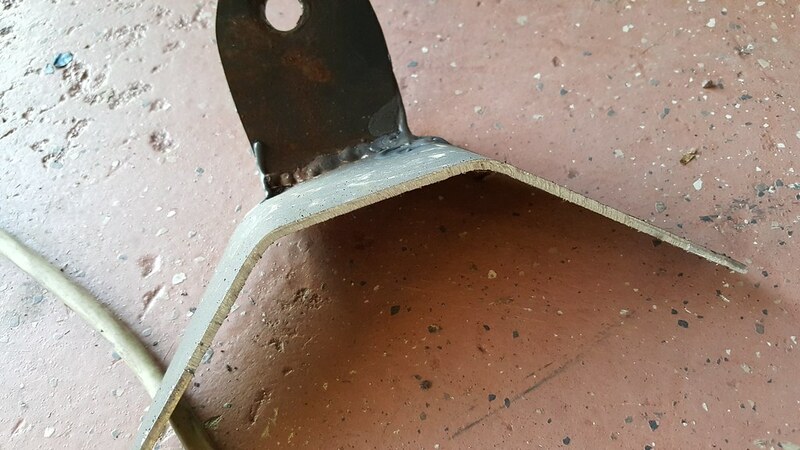 Preheated, used nickel rod, and peened it with an air chisel. 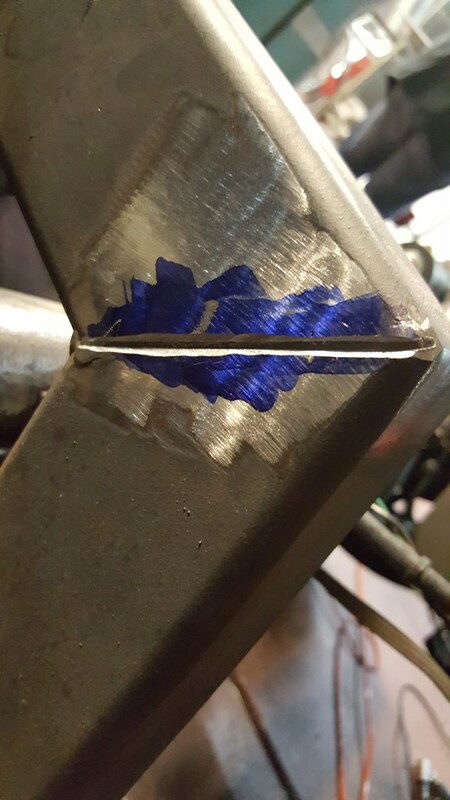 That's why the weld looks so odd. Nice! Glad to see you got it all straightened out. No doubt that original install was a little sketchy and unsafe. Good job! Nice looking fix. 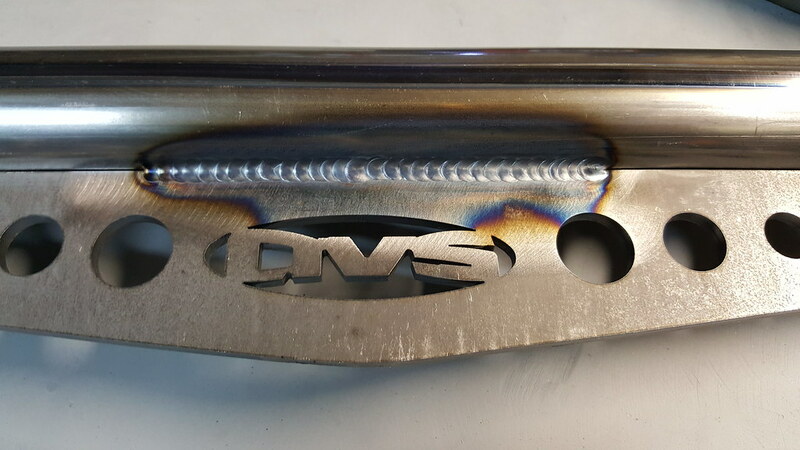 Those are much nicer looking welds! 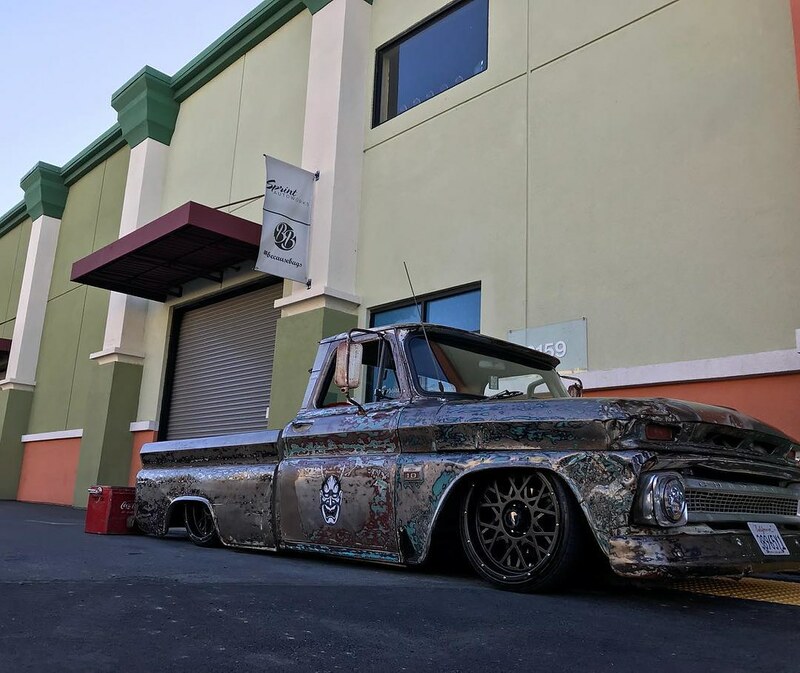 It's scary to think that an actual "shop" was responsible for the original suspension design. I had originally planned on doing bag over bar for this set up but the original builder welded the notches in funky (and not in the same spots...) so I didn't have enough space to fit the bags on the bars. Ended up with a bag over axle set up. 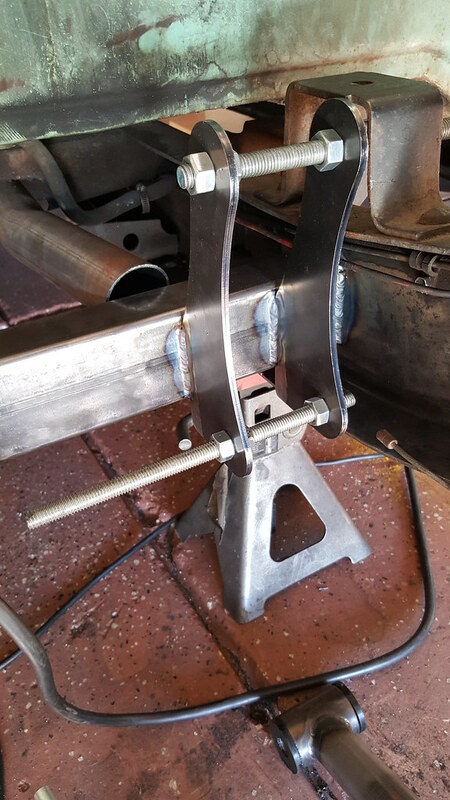 I didn't want to build a bridge over the axle so I decided to weld the tabs to the pumpkin. I bought some Nickel99 rod (holy **** that's expensive). 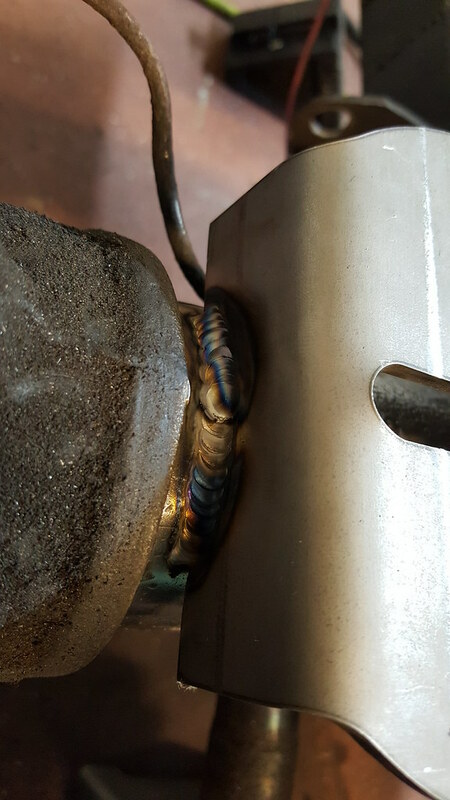 Preheated the housing, welded it with the nickel rod, and peened it with an air hammer as it cooled. No cracks! It should hold up just fine but if it ever cracks Ill build a bridge and fix it. 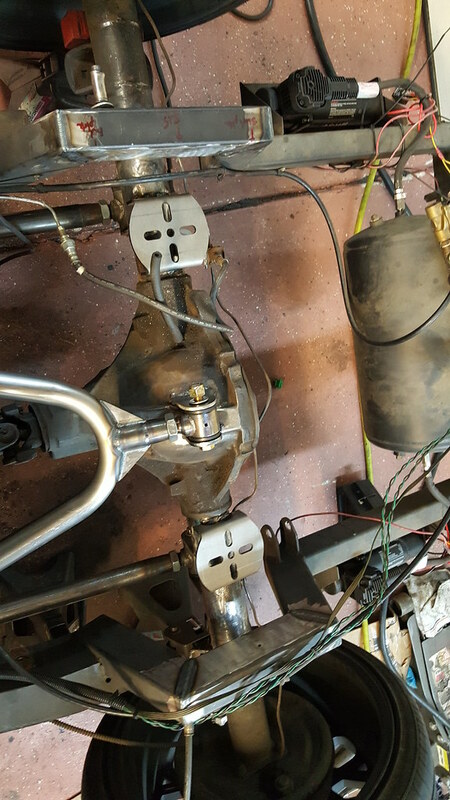 Mounted the shocks to the upper bag mounts and ran them off the bars to make sure there was enough travel. 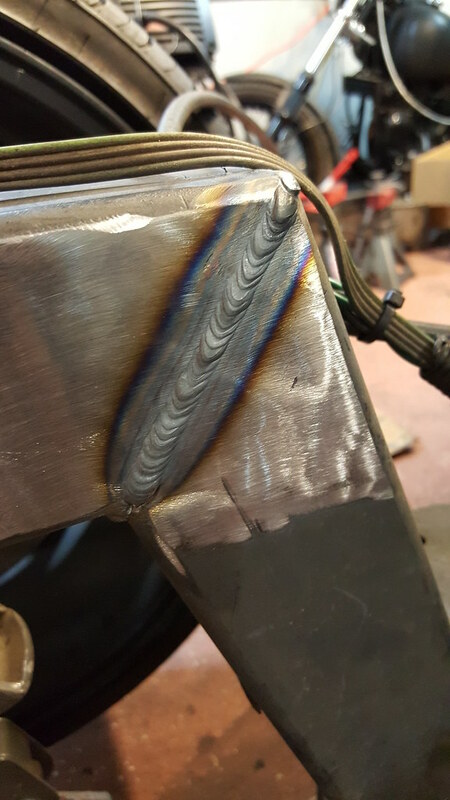 Ran a cross member along the backside to tie to the bag mounts. 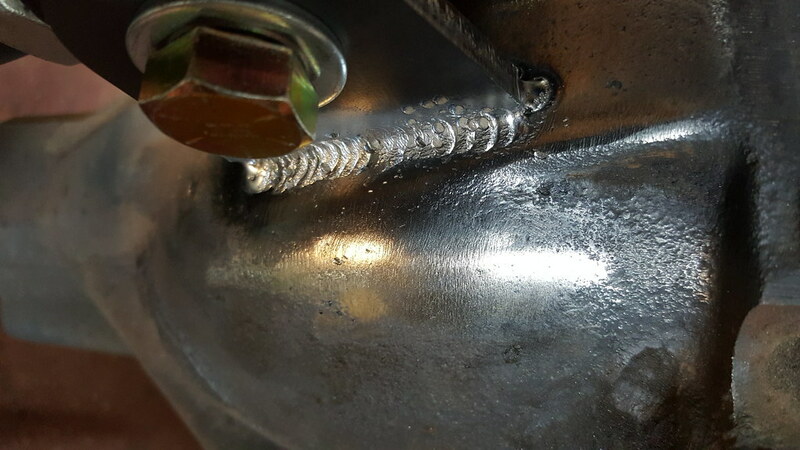 Noob welder question - what is the purpose of peening the welds? I don't think I have ever seen that done. Thank you sir. 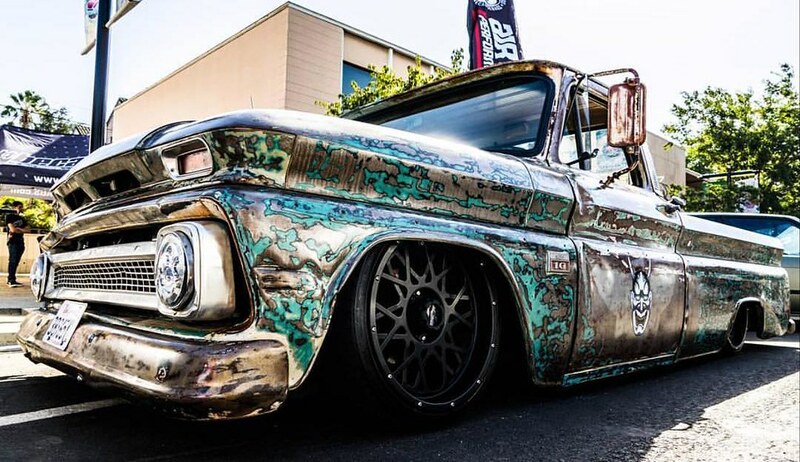 He has a young daughter he wants to drive with so that old work had to go. Just to clarify, the shop he got it from didn't do the work. They just painted a logo on it and drove it around. The original bag job was done in Texas. Not sure by who though. 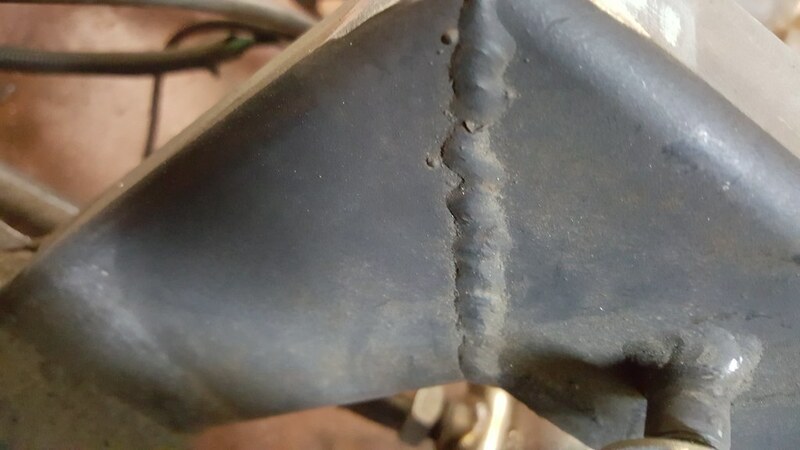 It is done as the welds cool in order do decrease the stress and reduce the likelihood of the welds cracking. 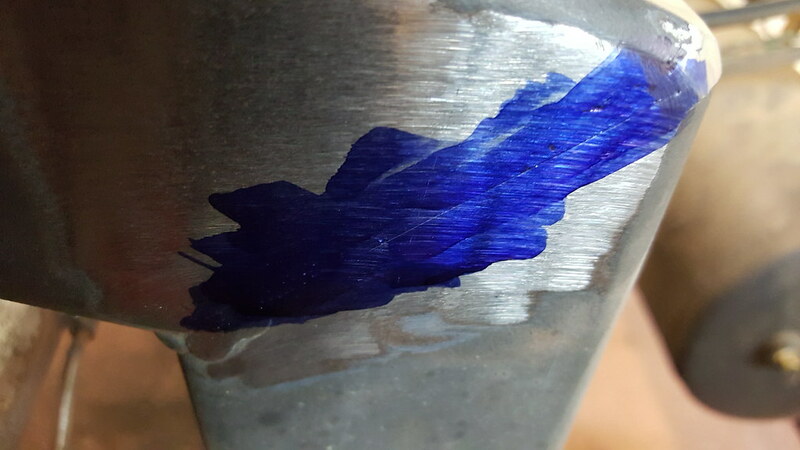 Mild and cast steel have different cooling rates and it is really common for welds on cast steel to crack. 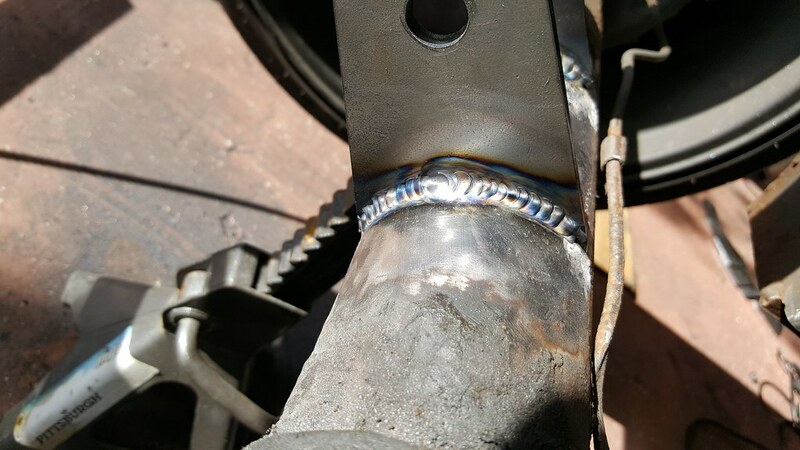 Awesome work, love your welds! Well I learned something today. Thank you. Nice work....Thanks for sharing the process. It's cool to see how you improved the set up. I would like to more pics when its done. I'm trying to decide which way i want to go with my new ride. Like everyone else said, great work!